Studying at MA level has enabled me to become more independent, organised and determined; all attributes that are really important when you start your own path. 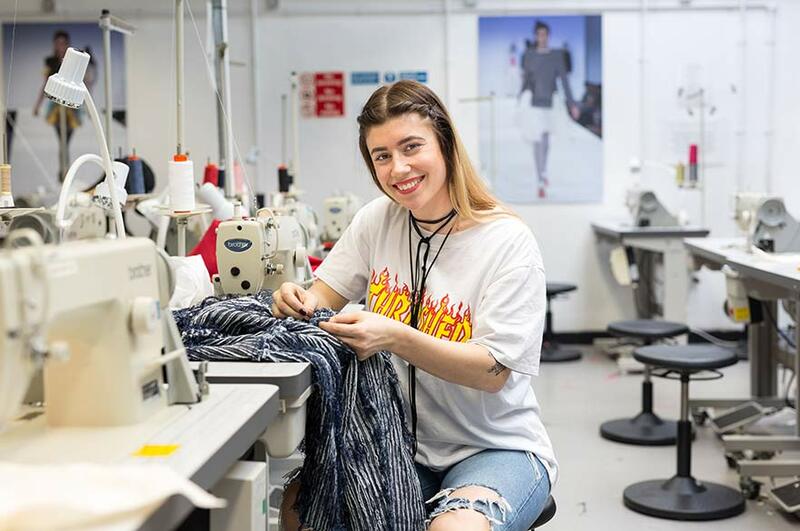 After graduating from BA (Hons) Fashion Design, Elina decided to further her skills and knowledge through our MA Fashion Design course. What do you enjoy most about studying MA Fashion Design? “Being selected as a Paul Smith Scholarship recipient was an unforgettable experience! We studied at Bunka Fashion College for six weeks where we learnt new skills in stencil dyeing, whole garment knit and inkjet printing; all new experiences to me. How does studying MA Fashion Design differ to BA (Hons) Fashion Design?